This book spends half the time letting Mr King voice his personal pro abortion views through his fictional characters. Not interested! I listen to his books to be entertained with horror stories. The story itself wasn't very good to begin with but became unbearable because of his lame attempt to hop on a soap box. Also the music between chapters is a very bad idea. I don't listen for music either! Don't waste your time and money with this book! This is an amazing book and I highly recommend it, especially to any Stephan King fans, although the narrator was very slow and didn't announce the section of the book or the chapter. These factors made the listening experience less enjoyable. Great story and well-written. I don't mind the slow start and character building. Whoever thought it was a good idea to put that obnoxious music between chapters should be slapped. It's completely distracting and unnecessary. I can't imagine who would think it was a good idea and for what purpose. however the story itself was very entertaining if you could get past the stupid music. As a fan of nearly every other Stephen King book, what on earth happened here? The narrator certainly brings to life the characters of the few hellaciously uninteresting old people the book centers around. Of the hundreds of audiobooks I’ve listened to, this is the first one I have simply turned off with only two hours to go. Not worth it. SO.... this book, in general, has a great story and I love how original it is. Stephen King's books never disappoint, in my opinion. The narrator did a great job for this book. He really made himself sound like how I pictured Ralph's real voice would sound. I like when narrators are able to portray a character that well just by using their voice. THE ONLY REASONS this didn't get the full 5 stars for the narration rating was because of the weird music they chose to put at the end of certain parts in the story. I couldn't really tell when/if a chapter was ending, but I'm assuming that the music was placed at the end of each chapter. Maybe? That brings me to my second issue with this book... the narrator never said, "Chapter One" and so on... he only mentioned the "Parts" of the book -- i.e. "Part One" or "Part Two", etc.. I could be wrong but I think it's important to include that, and I prefer to be told when a chapter is ending/when a new chapter is beginning. 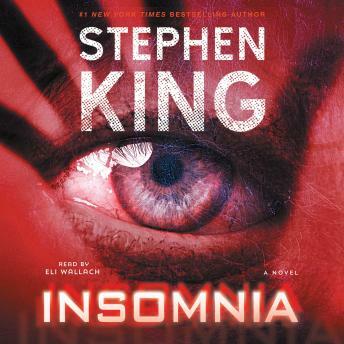 Overall, other than the weird music that made me cringe sometimes because it was so awful, the book itself was great and I would of course listen to another Stephen King book ANY DAY... even if it had that same strange music in the narration! For the most part it was a great book. What I didn’t like about the recording was the music/noise that was played during the beginning/end of chapters. It was distracting and irritating. Also Atropos sounded like an angry George Costanza. Probably my least favorite Stephen King book. It’s very slow and I just don’t understand why anything is happening and the ending isn’t a good enough payoff for this long boring story. Narration was okay, but not great since a lot of the characters are old so they all have that same voice. I would suggest Tommyknockers or Four Past Midnight in place of this book. Would have been good but the music at the beginning and end of each chapter was so loud and so distracting I couldn't pay attention. Super annoying. Book was interesting as most Stephen King books are. This is one of my most favorite novels from Stephen King ?